My Beauty Diary is a pocket friendly beauty mask brand from Taiwan. I bet it is no stranger to you because it is widely available everywhere in shopping malls, online store and even night market! Before I begin, I need to remind you that My Beauty Diary can only be found at SASA, Guardian and Watsons, so beware of counterfeit products sold elsewhere!! and (3) Smoothness, each packaged beautifully in a box of 5 pairs. Imported from Taiwan, My Beauty Diary is the No. 1 Facial Mask in Taiwan, Hong Kong and Singapore (and most probably the next is in Malaysia!) Look at the cutesy mini mask on my hand, its 'nutrient' can easily absorbed into the skin. I was invited with many pretty bloggers to celebrate the arrival of the functional eye masks at Malaysia's shore. And it was an all-girls moment again, so let's have fun playing with the masks! 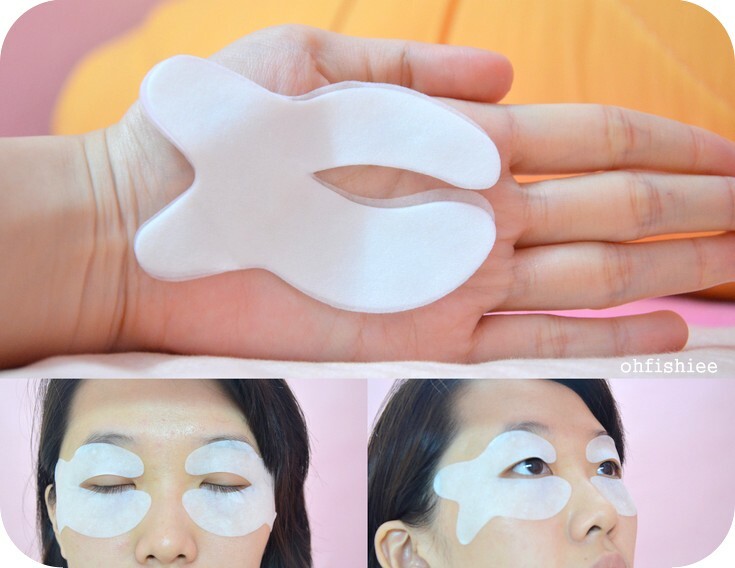 I was fascinated by the cute designs and hoped this could be the remedy for my heavy eye bags :( I couldn't wait but to try all the eye masks as soon as I returned home! 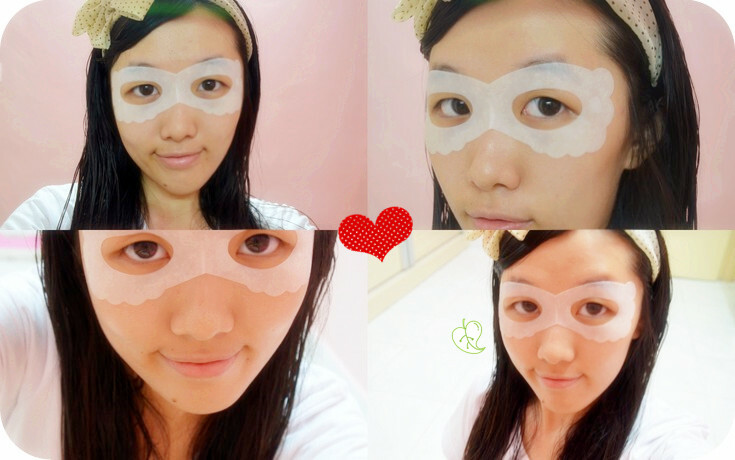 Time to be a bat woman, pamper your eyes with My Beauty Diary masks! So I have tried 3 eye masks, on alternate days- Mon, Wed and Fri - after bath. And let's see how it works! Enriched with Vitamin B5 and P to soothe the skin surrounding eye area and reduce its puffiness. to hug your eye contours and stay in place perfectly. Do I look like a superwoman!! Or a thieve? Haha. 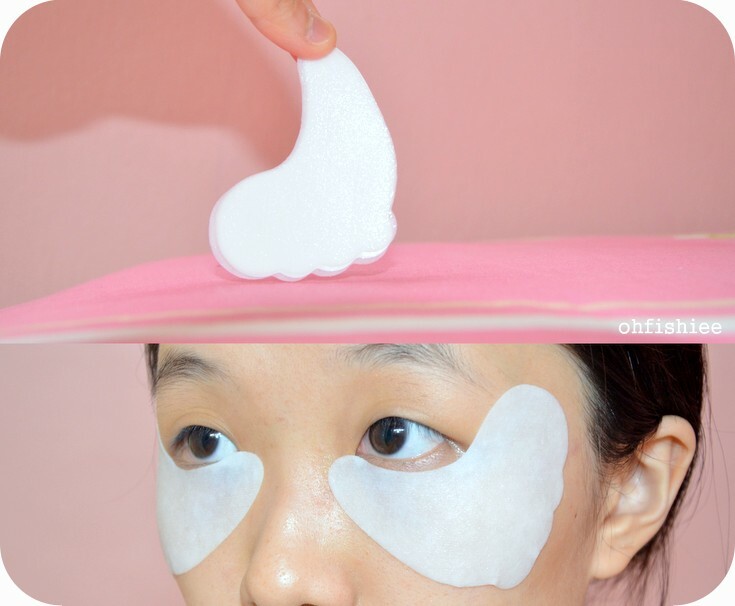 The mask does not contain much 'juice' (or essence) that I'd prefer but it is pretty relaxing to have a cooling piece of cotton on eyes to reduce puffy bags. Enriched with Vitamin A and B to nourish and reduce fine lines around eye area. Enriched with Vitamin C and B3 to brighten dark circles and moisturize the skin around eye area. It's FISH time!! I'm super excited to try the cute little fish shaped eye mask that removes dullness from the eyes. It gives an instant soothing feeling, but I have yet to see the reduction of dark circles. Hopefully it works after few more rounds of using it. 1. I love the cute design and ease of use. Just slap on a mask and I can enjoy a soothing effect that makes me feel less tired immediately. 2. I really can't tell how effective it is to reduce fine lines / dark circles coz' I have only used it few times. 3. The mask is unscented, un'flavour'ed, and comes in the most natural way which I feel safe on the skin. SASA, Guardian and Watsons nationwide. the shapes of the eye mask are really unique! let me know if it really reduce dark eyes circle! I've never really tried much from ELF but that blush is so pretty, I might have to make an Eyelastin you are the ultimate face cream connoisseur, share all your secrets with us please :)! !